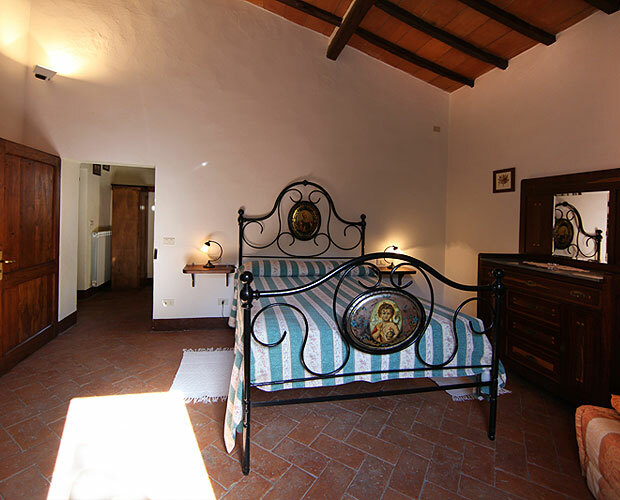 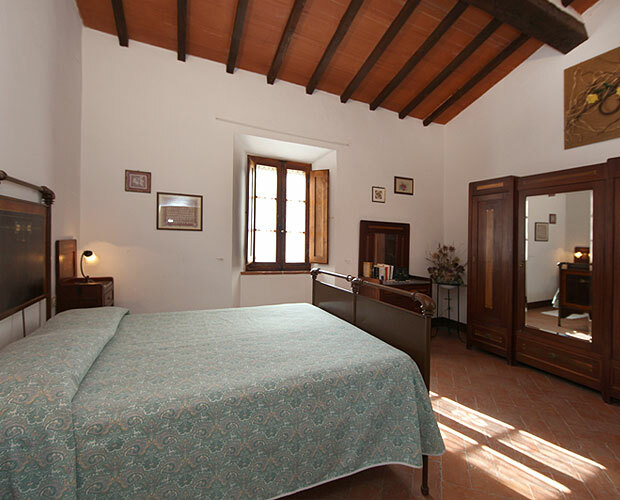 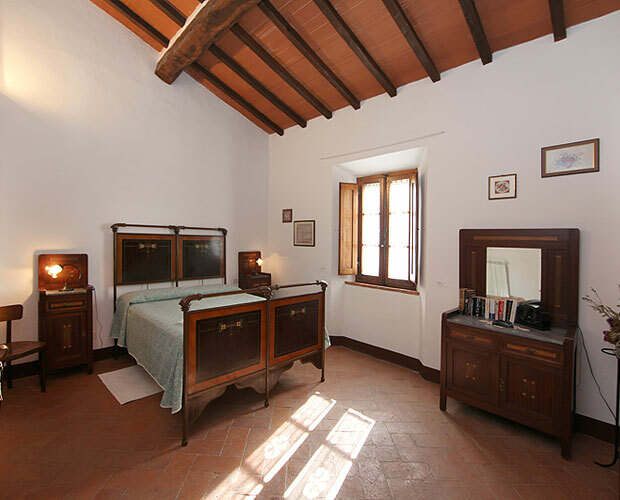 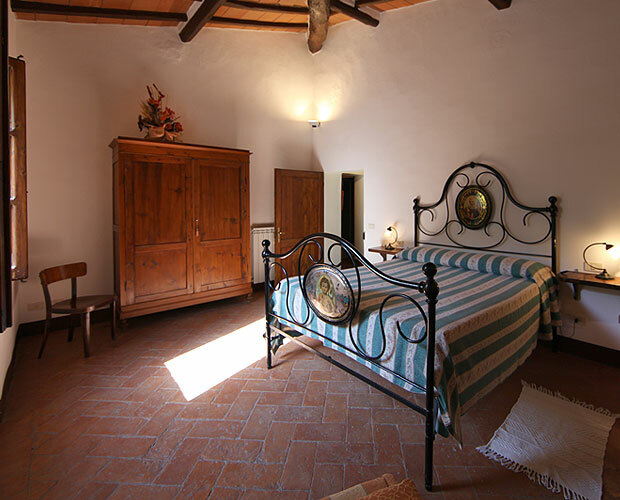 La Quercia is the largest apartment of our recently-renovated farmhouse. 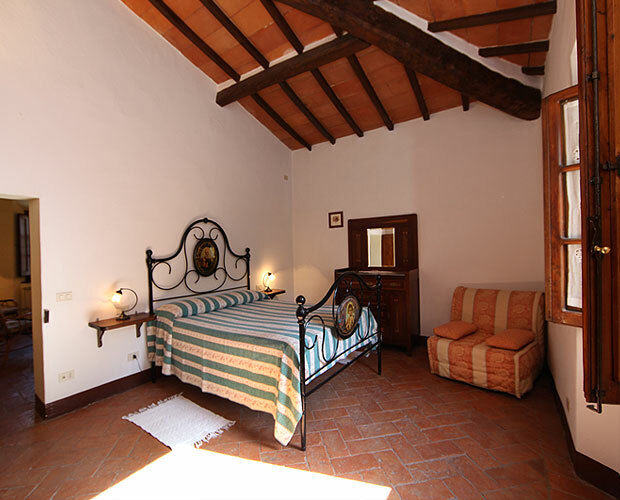 Ideal for 6 people, this apartment can also be rented on request to a lower number of people or even to couples. 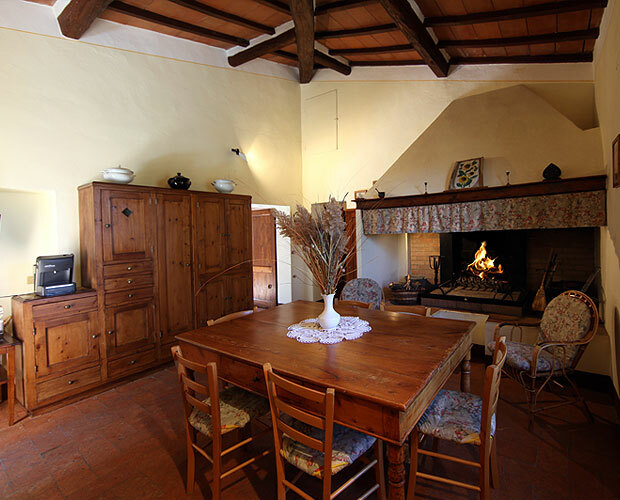 The kitchen and bedrooms are decorated with the farmhouse's original furnishings. 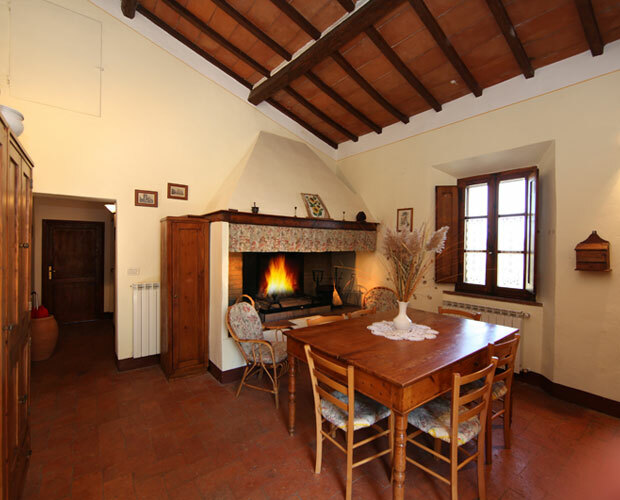 Also the large fireplace, the floor in terracotta tiles and the wooden beams respect the traditional Tuscan style. 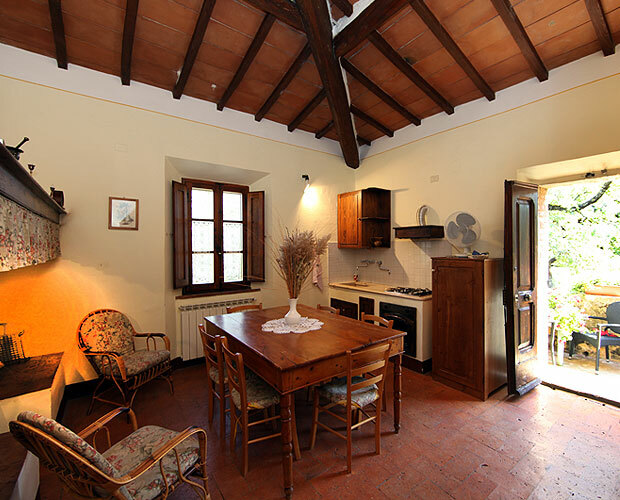 In the garden you will find a garden table where to enjoy your outdoor meals. 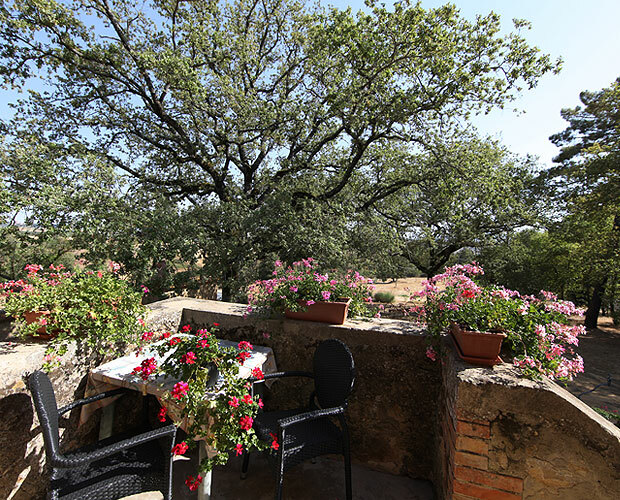 Relax afterwards on the garden deckchairs, sunbeds and hammocks under the shadow of the big oak trees.